Chicago’s pioneer pro football team was playing its very last home game. The date was November 29, 1959. The place was Soldier Field. The Cardinals were facing the Bears. 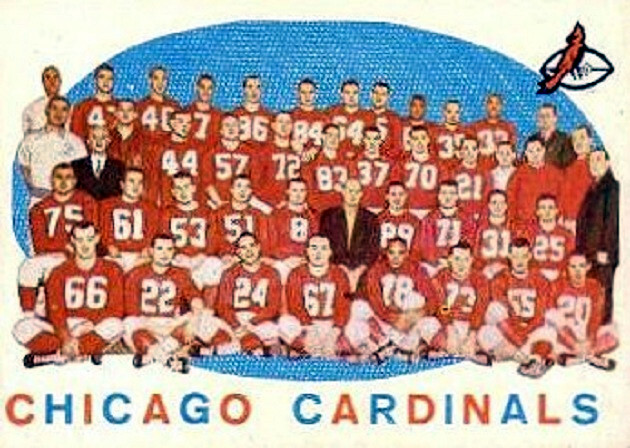 That’s the Chicago Cardinals. They’d been here first, long before the Bears – or the NFL. The team started out as a part-time, semi-pro outfit in 1898. They became known as the Cardinals after they cut a deal for some cardinal-red uniforms. In those days the only money the players got was by passing the hat among the spectators, or winning bets from the opposing team. When the pro league was formed in 1920, the Cardinals became a charter member. The team played their home games at Comiskey Park and had some early success. They won NFL championships in 1925 and 1947. But as the seasons passed, Chicago became a Bears’ town. The Bears had the star players, the publicity, the money. They were the dominant team in the NFL. The Cardinals usually posted a losing record. They were the team you went to see when the Bears were on the road. By 1959 the Cardinals’ owners were trying anything to stay in business. 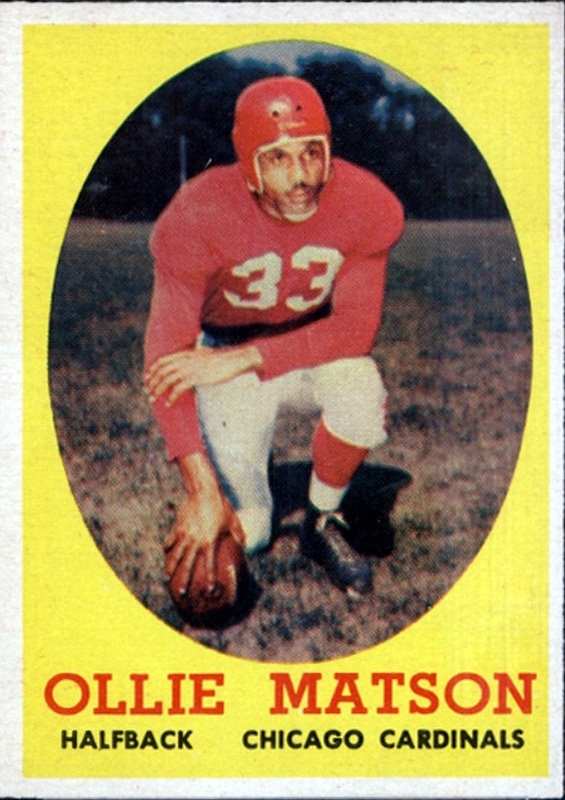 They traded off their one headliner, halfback Ollie Matson, for nine players. They abandoned Comiskey in favor of Soldier Field. When the team scheduled two of their “home” games in Minneapolis, rumors circulated the Big Red would be leaving Chicago. So now came the Cardinals’ last home game of the season, against their cross-town rivals. The South Siders were in last place with a 2-7 record. The Bears were 5-4, and still had a shot at a division title. Though temperatures stayed in the 20s, a standing-room-only crowd of 49,000 jammed Soldier Field. The two Chicago teams always faced off near the end of the season. More than once, the underdog Cardinals had upset the haughty Bears and cost them a championship. Would it happen again? On the first play from scrimmage, the Bears quarterback threw a long pass. Two Cardinal defenders went up for the ball–and tipped it into the hands of the Bears receiver, who went 76 yards for a touchdown. After that it was no contest. The Cardinals lost, 31-7. The team played their final two games on the road. They lost those, too. By the time the 1960 season began, the Cardinals had moved to St. Louis.